Twenty Seven leading Thai brands also honoured with Superbrands status at the 6th 'Oscars of Branding' tribute event. 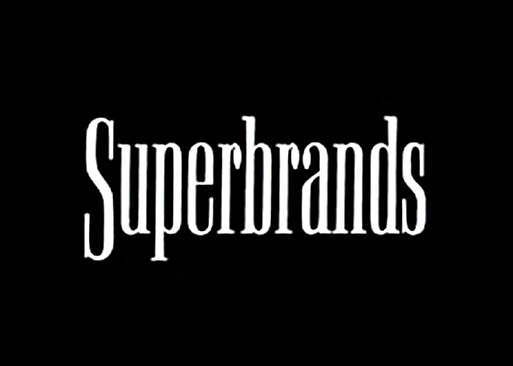 Superbrands, the independent authority and arbiter of branding, announced that Siam Paragon has won the coveted 'Brand of the Year' award at the 6th annual Superbrands tribute event, which was held at Siam Paragon, Bangkok. 27 leading Thai brands were awarded 'Superbrands' status at the gala event, which is also dubbed globally as the 'Oscars of Branding'. The event was attended by the country's most prominent senior business, marketing and branding executives and saw the unveiling of the 2015 Superbrands book featuring many of the brands voted as Superbrands. It's another successful year of Superbrands Thailand to reward to the awards to Excellence in Branding. Superbrands works through a market survey base throughout Thailand with 10,000 customers, marketer, PR Agencies, Brand Builders and Independent Council Members to vote for the strongest brands representing the Superbrands Thailand. The Top vote called the "Brand of the Year 2015", was rewarded to "Siam Paragon" as they have position their brand perfectly and have worked exceptionally hard to ensure that their consumers get the best possible service. "Winning a Superbrands title provides a strong platform to be able to support the strength of the brand while addressing the entire range of the organizations' interactions with employees, customers both existing and potential, investors, suppliers, media, etc. The tribute event is a celebration of these high profile brands and the people who contribute to their success." Mike English said. "It is heartening to see so many of Thailand's home grown brands make it into the Superbrands Thailand book alongside large corporate entities and world famous FMCG brands. We ensure that the participation in the book is by invitation only and is a recognition brand value and the enormous effort that makes them such successful brands. Mike English said. Mr. Rod Routley (Left), Managing Director of Watsons Thailand, Marketing Director of Watsons Thailand, receiving the Superbrands award from Mr. Mike English, Managing Director (Right), Superbrands Organisation. Watsons, Thailand's leading health and beauty retailer, has been presented with a 'Superbrands 2015' award for 6 consecutive years by Suberbrands International at the recently organized 'Superbrands Tribute Event 2015'. The award is a strong testament to the trust that the public has in Watsons.